The BF left for Pune yesterday. I accompanied him to the airport, something that made him happy because no one in the US had ever come to drop him off at the airport before 🙂 (the little things that make one happy 😀 ) . It was a long train ride to the airport but the best part is that the train stopped right in the belly of the airport. A couple of escalators and a transit train ride later, he could check-in for his flight. The airport was so well laid out and organized that I quite forgot what I had come there for. Once the BF went in for security check, I said a small prayer for him and made my way back. It was another long journey back home. This time, I felt worse than what I had ever felt before. When we were in Pune and the BF left for Chicago, I would miss him terribly. But the security of family and daily chores/office was enough to keep the mind busy and occupied. When I got back home here , it stuck me that I was in a new place, all alone with two little kids. I knew enough about the city to get along fine. I know I will not have any trouble, specially now that I have made friends with a Indian lady two floors below and also with the wives of a couple of the BF’s colleagues. All of them were sweet to call me after the BF left, offering support and help in case I needed it. It was the only warm feeling in the otherwise cold emptiness of my heart. I worried for the kids, who were rather upset that they would not get to see their father for the next ten days. But like the burst of sunshine that only children can provide, they cheered me up today, excitedly counting down the days, telling me not to worry because they will behave and not trouble me 🙂 (Alhamdulillah). It is nearly 2am local time and I cannot sleep. I’ve been listening to some dopey songs, wallowing in misery because I miss him terribly and for once, I think I know what he must have gone through for the last one year. Every time he called up to say he dreaded the weekends, I would chide him and tell him to get a life and go out and find things to do. In his absence, I can’t think of a single thing that I want to do, even though I need to think up something quick or the kids will cry out of sheer boredom (we disconnected the cable here…..the rates were exorbitant for the one hour of cartoons that the kids watch. We show it to them on the laptop now. Netflix can wait). I thought of taking them out for a walk in the evening, but it got cold and windy so I dropped the plan. The kids are deep asleep and I’m left blogging and humming the sad songs. Frankly, there is no rhyme or reason to this post. I’m sorry you read till here and got – nothing! In my apology, please accept this lovely song from “Pyaar ke side effects”. Feeling blue…yup! That sums up what I’m feeling right now! One of the best days that I had with him was last Sunday. He had to leave that night and we took the day off to do some quick last minute shopping. since it was a pleasant day, we took the new bike. On our way, about a kilometer away from our house, it started drizzling. “Oh no! Its raining now. We’ll get soaked” , I moaned. “Want to turn back and get the car? I have the keys in my pocket”, suggested BF. “Umm….lets see…I think it will stop shortly”. So we went a little distance before the rain started pelting us a little more strongly. “Uh oh dear…I think we better get the car”, I yelled in his ear. So the BF took a quick U-turn and we headed back home. On the way, we passed a couple with their young son, sitting on their bike under a tree, obviously taking shelter for a few minutes. “Well, then we’d also be standing under a tree like that family back there”, I said. “Well……..we sure could”, I said. So we stopped under another tree and waited for a few minutes. When there was no sign of the rain letting up, we threw caution to the winds, the BF wore my helmet and riding jacket, I wrapped my scarf around my head and we headed towards our destination. Sure, we got soaked in the lower half but it was so worth it! I can’t remember the last time both of us went on a bike ride in the rain. It was beautiful 🙂 🙂 🙂 !! The BF wanted to buy gifts for his female colleagues back in Chicago. I suggested we get them scarves, preferably, woollen ones because it will be winter there soon enough. 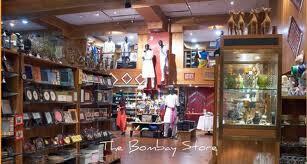 We went to this shop called The Bombay Stores in Camp. It is a good place full of souvenirs at exorbitant rates that is frequented mostly by tourists or foreigners. I was a bit skeptical, but the last time the BF bought some good stuff from there at reasonable rates, so we took our chances and barged in. I found the scarf section soon enough. They were hanging prettily on a shelf. I pointed out a few woollen ones to the BF and asked him if he liked the colours. Being no expert in scarves, he just nodded along as he checked out the price tags. An audible gasp from him had me running back to check the tags myself. He looked stunned as showed it to me. “9999/-” it said. It was my turn to gasp loudly. “Ummm……why don’t we go for something lighter, say, silk ones?”, I suggested. “Sure”, said a very shaken-up BF. So I made my way to the silk scarf section and started hunting around, this time making sure that I checked the price-tags first. “N…..just remember, I need to get FIVE of them scarves”, the BF was not really liking the scenario, I could make out. So being a wise and considerate wife, I dragged myself and the BF out of that place. We stood outside, weighing our options on going to the other section of the city for shopping. 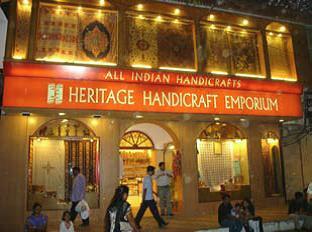 Just then , I suggested that we drop by into the other souvenir store nearby, called Heritage Handicrafts Emporium. That was the best move of the day. The place was run by Kashmiris and had the usual collection of carved elephants in marble, jade and wood, silver jewellery, semi-precious stones and other knick-knacks. I asked for scarves and the fellow led us to an inside room which was full of beautiful Kashmiri fabrics, right from colourful Phirhans to coats, jackets, scarves, shawls, you name it, they had it! We grabbed 5 of them within minutes and made our purchase. We were so stuffed at the end of an hour that I almost dozed off behind the BF as we made our way back home. The BF left that night. I’m not as strong as I’d assumed I am. Or will ever be. Anyway, this post isn’t about them. Its about the BF…and how his absence is driving me insane !! I haven’t had a single night’s restful sleep since he left. I call him up at 3am, only to be scolded to go back to sleep 😦 . Mushy, sappy songs are the order of the day and bring tears to my eyes …especially when I’m alone. Goodness! I digressed again! This post isn’t about the songs!! Its about the BF! Did I say I miss him??? Well, that’s an understatement. I miss him as much as I would a limb or a vital organ. I think, I’ve grown so used to him over the years that his separation seems to almost deprive me of something critical….like breath. In all the years we’ve been together, we’ve barely been away for more than 2 months, at the max 2.5. Since I’ve already crossed the 2.5 threshold, the coming days seem almost painful. I know its just a matter of time before we’ll be together but the ‘matter of time’ isn’t really happening all that quick 😦 . Its summertime and the days just seem longer than usual. To add to the misery, the US Consulate is still holding back my visa. No update on that front yet! I’m so ticked off right now that if you were any closer to me , you’d hear me growl! Dear BF, if you are reading this, I’m sorry for adding to your misery. I at least have the kids. You are alone….and it breaks my heart to think of what you must be going through. Simply counting the days till you get back. “Ek Par Ek Free” — Again!! I think I’m the epitome of embarrassment. There is something about me which begs embarrassment to come and hug me. Not only that, I’ve given the dear Em a place of permanent residence on my countenance. The BF, aware of my predilection, choses to ignore it …well most of the time. Other times, he’s busy bearing the brunt of it. Once such incident, which came to my mind this morning will clarify my point further. The year was 2005. Just a few months before, I had confessed to my parents about my undying love for the BF. Mom put the onus of decision on Dad. Dad, being dad ( 🙄 ) had to say NO! I mean, what kind of a father gives a “Ja, Jee le apni zindagi” kind of approval when the daughter, the apple of his eye, the youngest of his off springs, drops in at his workplace one evening and drops the bombshell?? Tell,tell?? In between, BFS dropped in to B’lore for a visit and we had a great week together. During one of our shopping expeditions at Pantaloons, I found this really cool offer where they were giving away two T-shirts for the price of one. Ek par ek free!! (If you know me even a wee bit by now, you’d know its my life’s mantra!) I simply HAD to buy them shirts. Purchase done, I asked the cashier to gift-wrap one. Handing it over to BFS I asked her to personally deliver it to the love of my life. She hugged me and promised that she would do exactly that 🙂 . Not hug the BF silly, hand over the T-shirt! A few months went by. Dad had to make a trip to Pune, some stuff to be brought down to Pune for Bag’s wedding I suppose. I called up the BF and asked him to contact Dad on his arrival and be as much help as possible. “I’m working, you know”, the BF lovingly informed me. “Err yeah. Dad will be there this weekend. Make sure you take out some time for him”. “Hmmphhh…the stuff I have to do for you….”!! 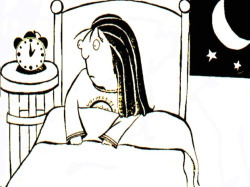 “Hey, it’s not as if you are sacrificing you weekend cricket match or your sleep?! Actually, you are, but what the hell! You love me no? ?” I wheedled. Convinced that he had no option but to butter up the future pa-in-law, the BF got up early, shaved ( *gasp* on a weekend!! ), put on his new shirt(gifted by his beloved) and went to do the needful. But yeah, one of life’s lessons I’ve learned is that never ever buy the same coloured T-shirt if buying two for the price of one! Something happened this afternoon that the BF simply insists I post about. After this particular post (https://momofrs.wordpress.com/2012/08/24/the-just-married-please-excuse-contest/), he’s been a little grouchy that I brought up his less-than-chivalric “Arre pakdo” moment. Its a different matter that the grouchiness is erased every time he gets the image of me hurtling towards doom, all flailing arms and legs, with a large sling-bag and a camera around my neck and my phone in my hand. He’s been busy grinning each time a comment to that post appears on his blackberry :). Anyhow, like I said before, he insisted that I do a post on this afternoon’s occurrence, just so that he feels vindicated of his ‘moment’. As I gasped for breath through the horrible pain, the bitter irony of my situation struck hard and I gurgled with laughter. As I gasped in pain and still laughed, the two gents standing at the door got rather uncomfortable. They tried offering help, asking me if I could stand up and walk…I giggled that I could and they beat a hasty exit from there. It was quite some time before I finally mustered the courage to drag myself through the workhall door and to my cubicle. Funny thing is , I was still laughing when I reached my cubicle! To think that I was careful NOT to hurt myself on the stairs and did just that within seconds was vastly amusing 😀 . I made a quick call to the BF and explained my predicament. “I fell down the stairs”, I quipped. “Wasn’t there anyone around to yell, ‘arre pakdo’?”, he quipped back. “What the hell?? I fell down and hurt my ankle. Show some concern”. “Well, first do a post and let people know that you have a tendency to fall off stairs”. “Think about it. Will check your blog shortly”. P.S: Yes, I’m one of those people to whom stairs happen. P.P.S : I’m also the kind of person who keeps Zandu Balm in my locker for exactly what happens in PS. P.P.P.S : I still love the BF. No matter what 😐 . He buys me those Zandu Balm jars. This took place between the BF and a female colleague in his office. Now the female colleague, or FC for short, does not directly report to the BF. She is in one of the projects whose manager reports to the BF. But, she has a soft spot for him and strikes up conversations whenever possible. There was even one instance when she offered all possible ‘assistance’ if he took care of her ‘routine deliverable escalations’. The BF and I had a long chat on the implications of the statement and its repercussions. I’m not sure exactly how wise I was in dissuading him from reporting the event, but the crux is that the BF had been keeping a low profile and a cold attitude towards her. Not one to be ignored, the girl continued her habit of complementing the BF on his hairstyle, or a particular shirt he was wearing, etc. So one day, the BF was showing some of the twin’s recent snaps to his friends. FC walks in and checks out the photos. FC : Ohh!! Your daughter is so pretty. FC : But how come she is so ‘chinky’. BF : I have no idea. FC : Does anyone in your family have eyes like that? BF : No. No one does. FC : Then where did she get the eyes from. FC : Really strange, isn’t it? BF: Its okay. I don’t doubt my wife. When the BF narrated this incident, I almost fell off the bed laughing 😀 !! Frankly, I feel a little bad for FC. The BF was this close to reporting her to the higher ups for stalking him, but I told him to enjoy the attention while he was getting it. Its not as if she meant any harm. You know you have reached a curve in your married life when your spouse does something totally unexpected. Like any regular wife, used to her husband’s complete ignorance of the aforementioned blog, I gaped at him for a complete minute. Anyway, so the point, as the BF rightfully pointed out, is that I haven’t blogged in ages. The reason is that I’m absconding. I’m on leave. Official leave. The plan for vacation got scrapped, though we did manage a one day- one night trip out of Pune (more on that later). I’m still on leave folks…will do a full-fledged post either this weekend or the next Monday. And oh! be wary of spouses feigning ignorance of your blog and then dropping bombshells that they are regular followers.